New Publication: ‘Anti-Judaism in the Works of Adam Clarke’, Bulletin of the John Rylands Library. 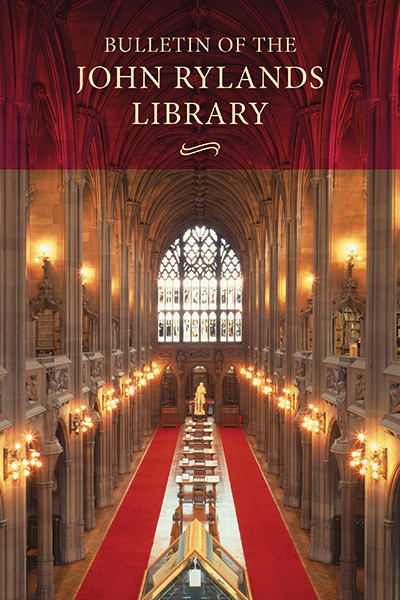 New research article in the Bulletin of the John Rylands Library, 93:1 (Manchester University Press, Spring 2017): ‘”Monuments” to the Truth of Christianity: Anti-Judaism in the Works of Adam Clarke’. Abstract: The prevailing historiographies of Jewish life in England suggest that religious representations of ‘the Jews’ in the early modern period were confined to the margins and fringes of society by the ‘desacralization’ of English life. Such representations are mostly neglected in the scholarly literature for the latter half of the long eighteenth century, and English Methodist texts in particular have received little attention. This research article addresses these lacunae by examining the discourse of Adam Clarke (1760/2–1832), an erudite Bible scholar, theologian, preacher and author and a prominent, respected, Methodist scholar. Significantly, the more overt demonological representations were either absent from Clarke’s discourse, or only appeared on a few occasions, and were vague as to who or what was signified. However, Clarke portrayed biblical Jews as ‘perfidious’, ‘cruel’, ‘murderous’, ‘an accursed seed, of an accursed breed’ and ‘radically and totally evil’. He also commented on contemporary Jews (and Catholics), maintaining that they were foolish, proud, uncharitable, intolerant and blasphemous. He argued that in their eternal, wretched, dispersed condition, the Jews demonstrated the veracity of biblical prophecy, and served an essential purpose as living monuments to the truth of Christianity.